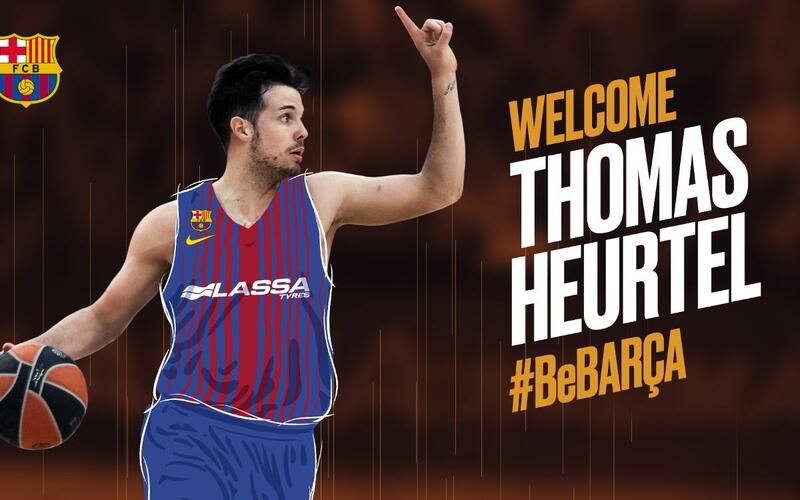 Thomas Heurtel will play for Barça Lassa for the next two seasons, pending a medical examination. The French point guard left Anadolu Efes d’Istanbul and arrives at the Palau Blaugrana on a free transfer. This season, in the Euroleague, he scored 12.7 points and gave 5.6 assists in 26 minutes on average. Heurtel is an offensive point guard who also provides a lot of action to his teammates in attacking areas. His excellent vision allows him to bring his colleagues into play and thus creating a lot of assists. In 2015/16 he sat top of the leaderboard in the Euroleague for assists, both in total and per game average with almost eight each match. His creativitiy is well-known, as well as being very profficient in front of the basket. His free-throw average stands at 86%. He is also well versed in La Liga Endesa. He arrived at Alicante in 2010 and then went to Baskonia. In Vitoria he played 155 partits in the ACB, while in the last few years in the Turkish league he played 96 games, endinging the 2016/17 season as the second highest assist provider with seven per game. The new signing said that "Barça was the best option for my career, I think that all players want to be at such a great club, with so many titles. It is a challenge, a step forward. Barça is a unique club". "I am more mature than I was in my first spell in Spain, both at Alicante and Vitoria, where it was a learning curve. In Istanbul, I had two good years and here at Barça I will give my all so that things go well," said the Frenchman. Highlighting his generosity in offensive play, he said "I like to score but I also like to provide assists to my teammates who are in a better position and I believe I am comfortable in any position".